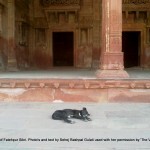 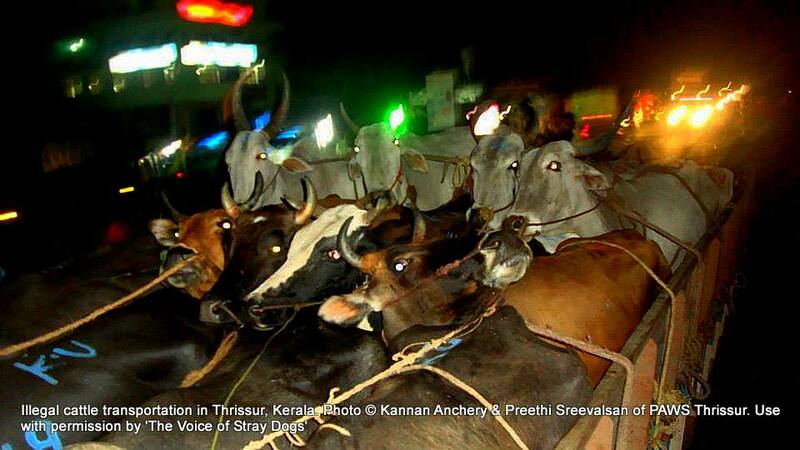 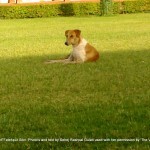 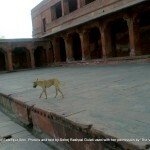 These pictures are taken by Sehej Rashpal Gulati on 19 March 2012 at Fatehpur Sikri. 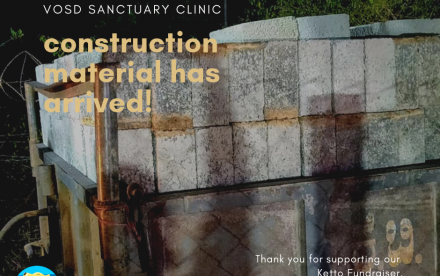 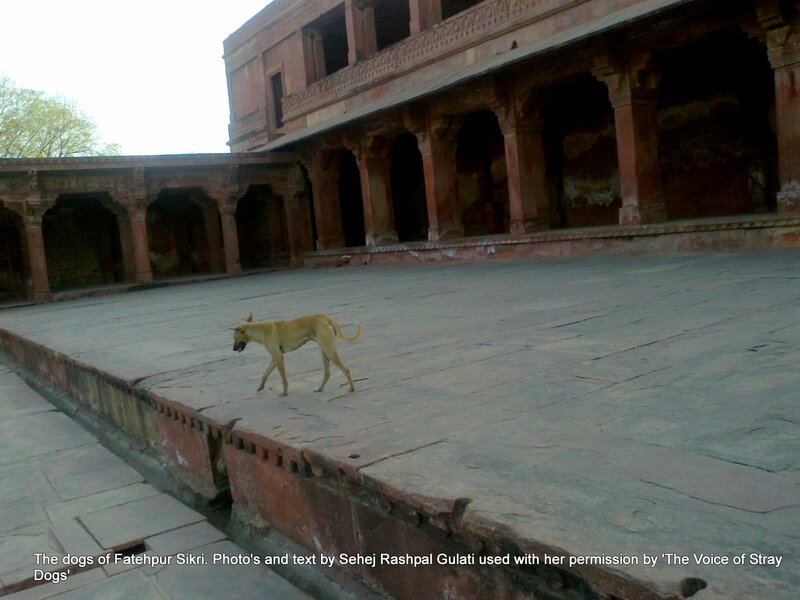 The Archeological Survey of India (ASI) manages other historical buildings in Agra including the Agra Fort and the Taj Mahal, but Fatehpur Sikri is managed by the Waqf Board. 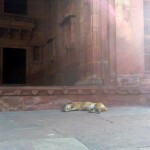 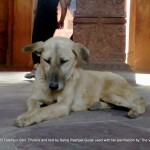 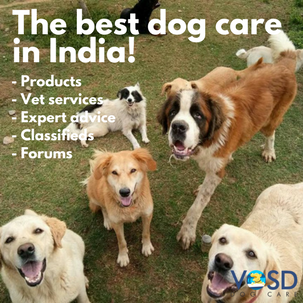 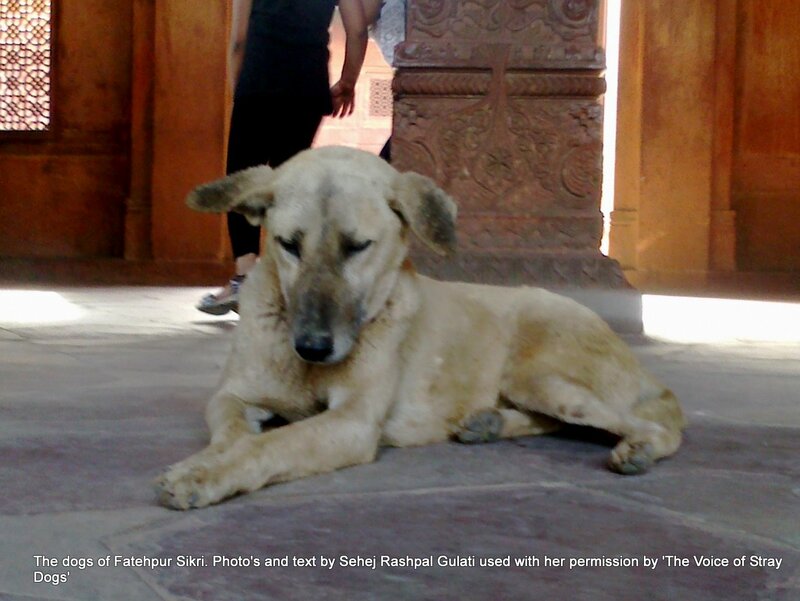 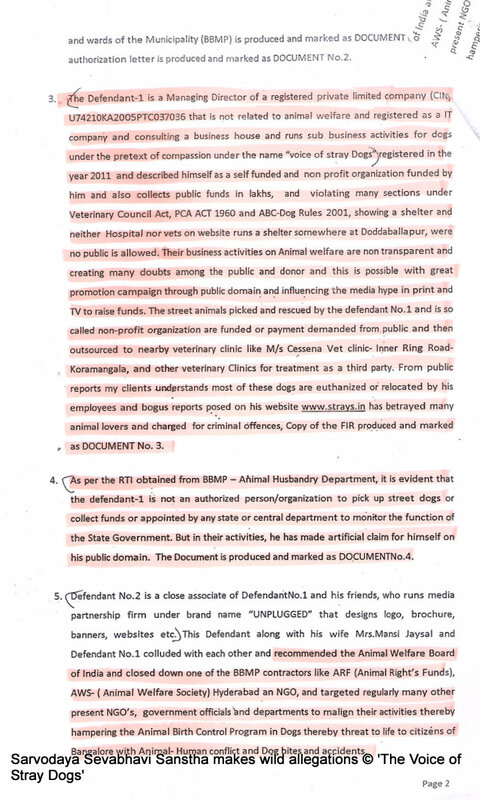 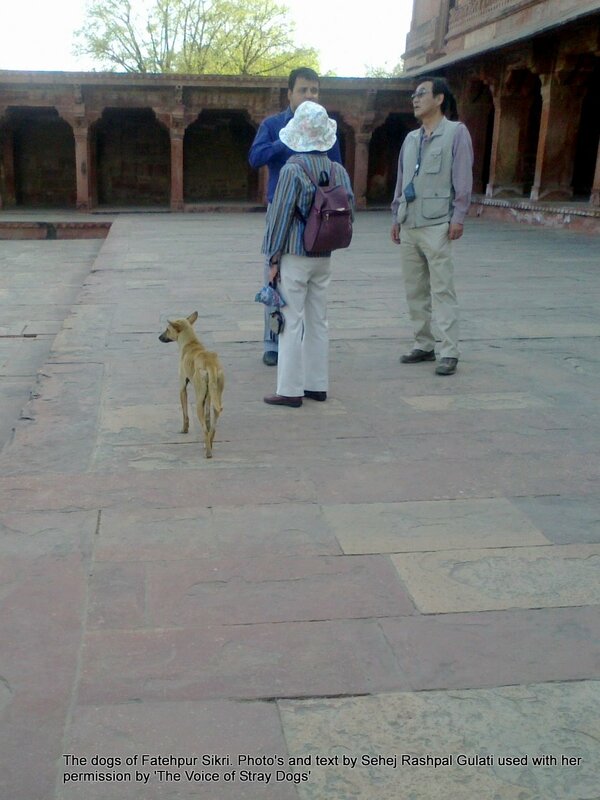 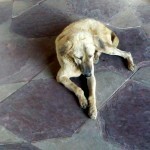 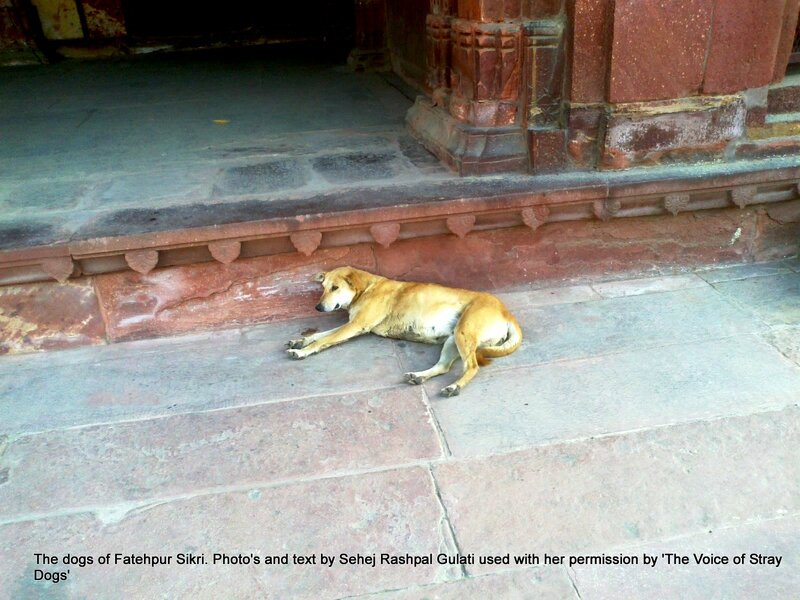 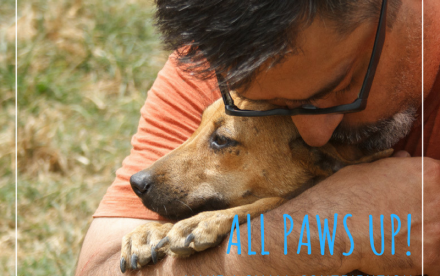 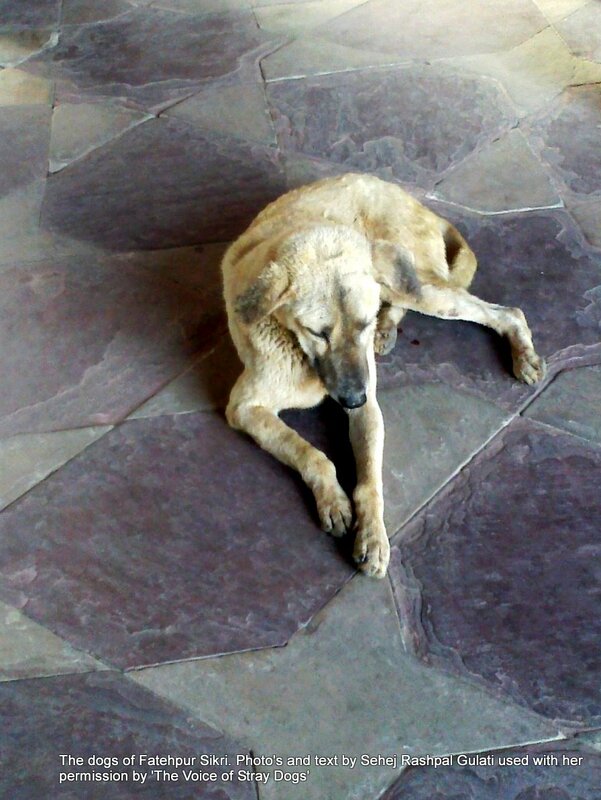 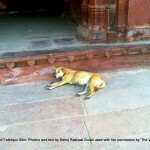 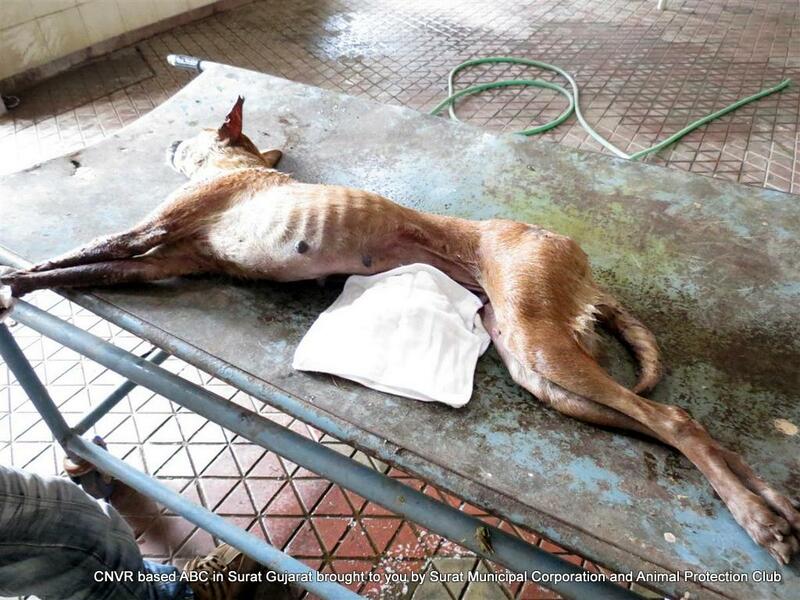 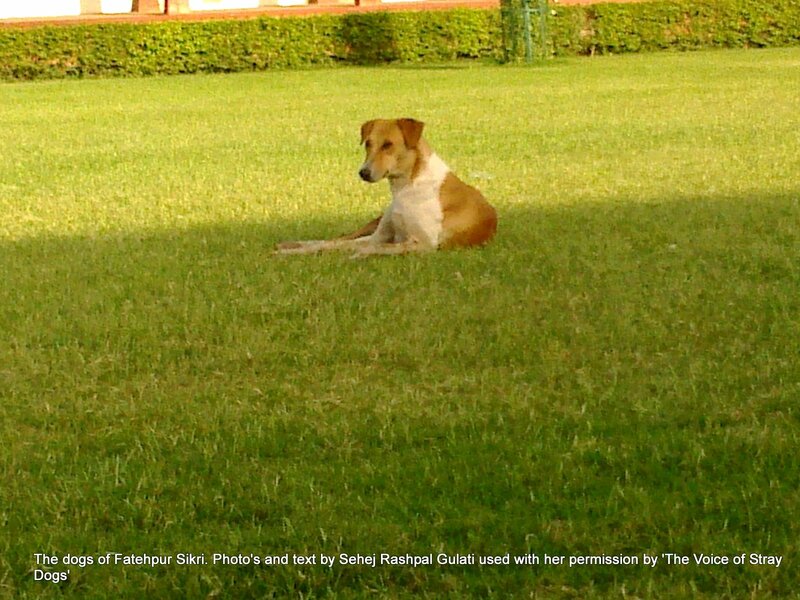 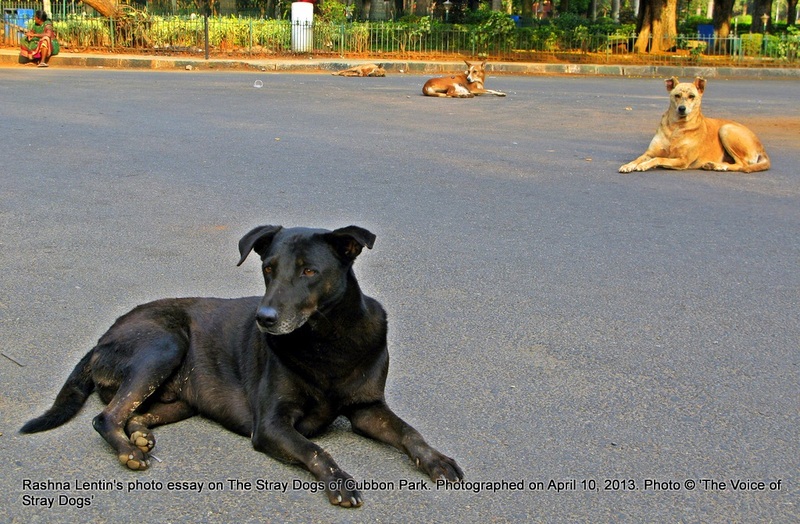 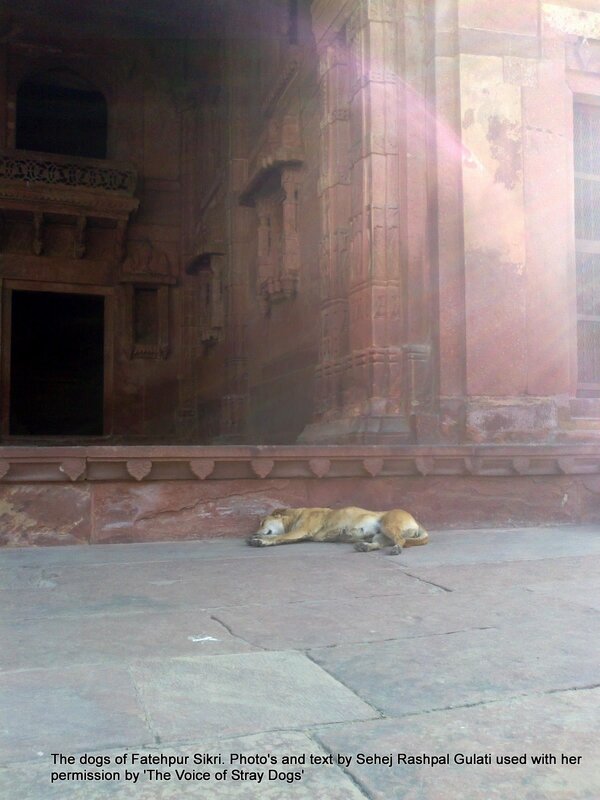 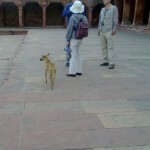 Maybe for that reason Fatehpur Sikri has lax entry rules and it is common to see goats and dogs around the monument. 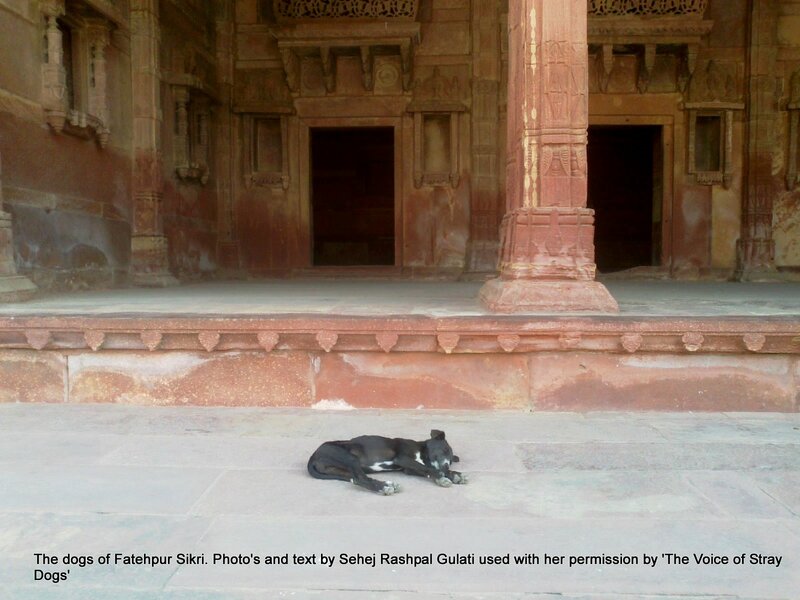 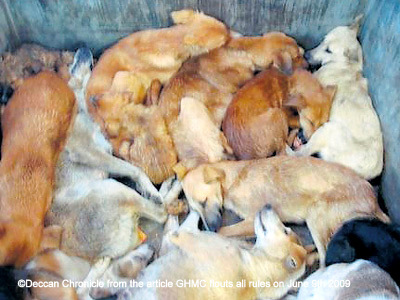 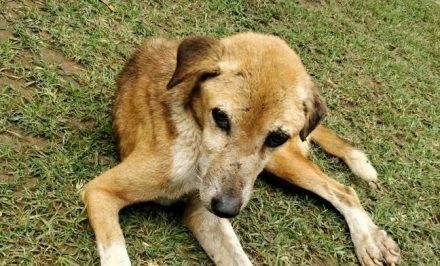 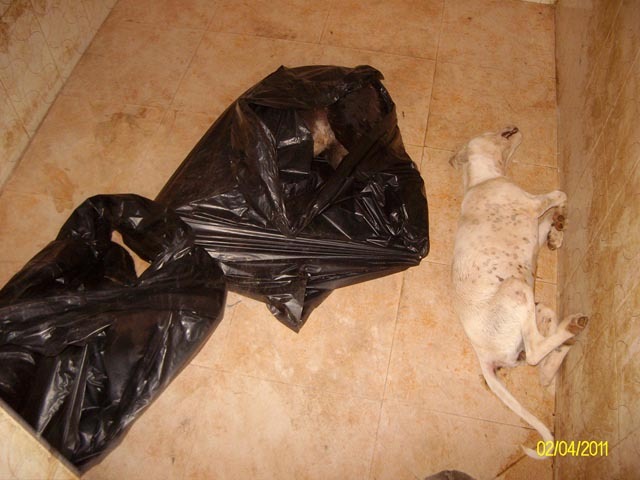 2 of the dogs pictured here were in the quarters of Akbar’s Christian wife Miriam, another in the Mughal Gardens in the monument.